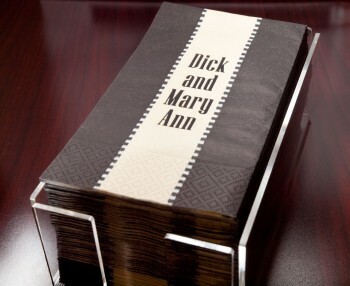 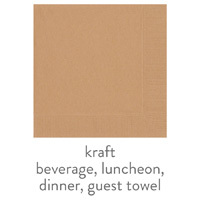 Personalized 3-Ply napkins and guest towels are perfect for any occasion. These napkins are the better party store type napkins constructed from soft 3-ply premium material with a coin embossed edge. 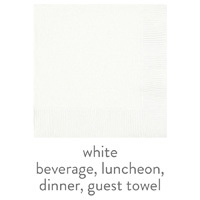 By far our most popular wedding reception and party napkin. 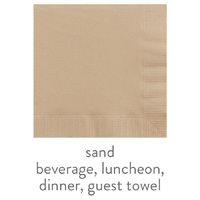 These come in a wide variety of colors and ink colors may be matched to napkin color to use on cups, coasters, stir sticks or any of our imprintable items. 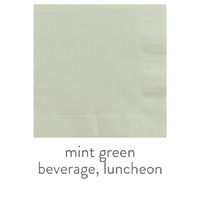 Our number two best seller second only to our 16 ounce styrofoam cup! 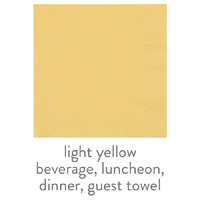 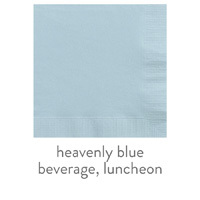 Personalized 3-Ply Napkins and Guest Towels are available in 4 sizes (beverage/cocktail, luncheon, dinner and guest towel) and 37 stunning colors with low minimums starting at quantities of 50. May be printed on two sides for the additional charge of two color ink listed below in pricing information; please call for more information.